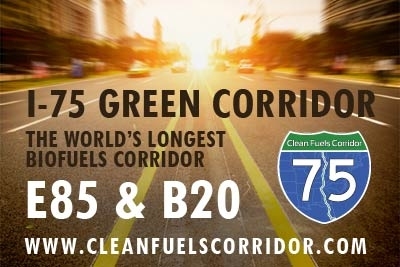 We are using our multiple Twitter accounts to discuss all the good things that are happening from the I-75 Green Corridor Project, and we would very much appreciate it if you would too! We've created a number of ready-to-go Tweets below so you can just grab one when you are ready. We also have some prepared hashtags for you to use; they are shown below. 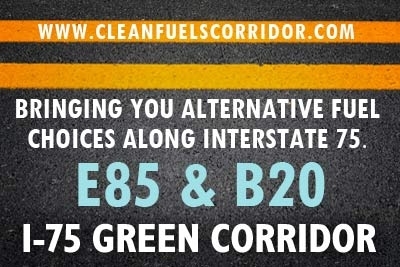 First and foremost, please include these two (2) hashtags - #i75 and #green! We made some images that are easy to share - just grab and post. Click on any of them and they will open in regular size in another window. See all the photos on the I-75 Green Corridor Project album on Flickr! It's easy to have some visuals when you are opening new biofuel pumps! 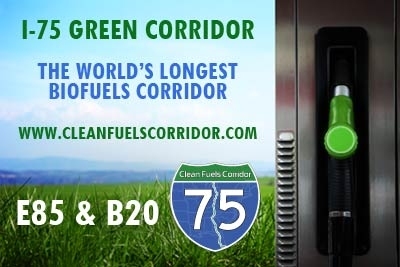 Visit the I-75 Green Corridor Project page on Flickr to see pictures of the stations, and from grand opening events. Each photo has a brief description that explains We are still adding photos so expect that set of pictures to grow! ShareThis is an online resource and tool that allows you to select the options you want and make your content more easily sharable. On our Website, the vertical toolbar that you see at right lets you select from many commonly used sharing resources and just click a button to "Get-R-Dun." 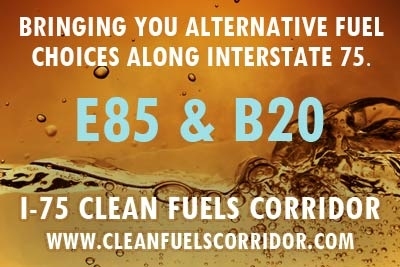 We are proud of our collective work to expand access to cleaner, renewable fuels like biodiesel and ethanol as E85 across the middle of America and very much appreciate your sharing our content and successes in your networks! 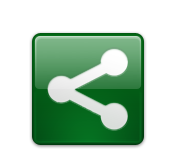 You can access almost any commonly used social media or sharing tool through the ShareThis button - just click on the SahreThis icon at the bottom of the toolbar at right, and select "more" towards the bottom of the page, and you'll see a large list of tools! Select your favorite and you can start sharing from there. QR Codes, or quick response codes, have exploded in use in the last 3 years. These small, typically white and black block images are used by smartphones and other advanced media tools like tablets to quickly go directly to a Website, email address, and the like. 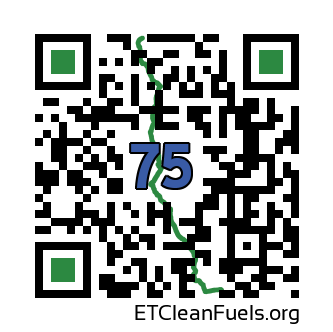 In our case, we can use QR codes on printed media--like on the side of an I-75 biofuel pump (see pump stickers here!) --to let folks either go to the project Website, or go directly to the I-75 station map via their smartphone mapping system. Click on either QR code to open a larger version of that image in another browser window. Th read and learn more about QR codes and how they work, visit the Wikipedia site for QR codes. We are working on a final project video that will be posted on YouTube and here that should be completed during summer 2014. 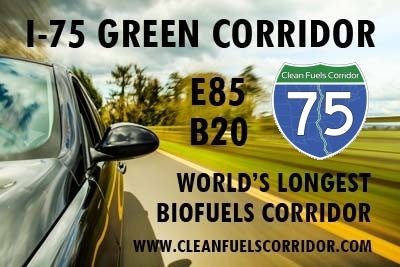 It will highlight all the partners and stations that made building the Planet's Longest Biofuels Corridor possible. To support American fuels and jobs, keep Americans' money in America, reduce oil dependence, support alternative fuels and renewable fuels continued production and use in the U.S., reduce emissions including greenhouse gases, and build partnerships that put America first.